Can anyone be baptized at St. Mark's? Baptism is the beginning of our life of faith; the beginning of getting to know and understand what being loved by God means. Baptism is God’s token to us of God’s great love. Like all the sacraments, Baptism carries us forward to a place where we want to give a sign to those around us that we are on the journey and will continue to learn about our God, and Christ Jesus. At St. Mark’s Baptism is celebrated at major times of the year; around Easter, Christmas, Pentecost, Transfiguration, All Saints’, Holy Cross and the Reign of Christ Sunday. St. Mark’s is a very active parish and the calendar of events is influenced by our children, our youth and the festivals of the year. Once you are active at the parish, you will begin to see the rhythm. Please email us about the dates for upcoming celebrations. Baptism is the time we join God’s family and become a young Christian. It is the beginning of a life-long journey of faith. It is not an isolated event but the start of a partnership between the person, family, sponsors and parish that seek a full stature of Christ for all individuals. When the privilege of Baptism is extended to infants and young children the assumption is that those who direct their lives will be Christians and practice faith. For that reason, Baptism is not done in isolation but in the midst of the community, a community in which the family has decided to be their parish home for the present time. Baptism is the sign instituted by Jesus to unite us with his Baptism, life, death and resurrection. In our custom all who are baptized in any tradition in the name of the Holy Trinity with water are welcome to be a part of our community. It is our hope that they will feel free to come to the Lord’s table for communion, but also further explore their faith among us. Adult Baptism is the church’s norm. The extension of baptism (membership) to infants and young children is on the basis of the commitment of the parents and sponsors to be icons of Christ in the lives of the children. The church is experiencing more adult baptisms since many have grown up in non-Christian homes, or with parents who desired to leave the decision to their children when they were of age. Marriage is the sacrament in which two people are joined in love, and they want to offer a full commitment to each other for life. Such is a reflection of God’s love for the world, and the intimacy that it brings is a sign of what God wants for us. To be loved, supported, cared for, embraced always. In marriage a couple re-creates each other. Each feels free, has the trust to share completely everything, both joys and hurts. Marriage is the place where love heals the hurts of the past, builds hope and extends joy. The couple discover true security, new depth and values and transform each other’s quality of life and love. At St. Mark’s Celebrations of Marriage are pre-arranged between the couple and the priest. They are called Celebrations of Marriage because the service does not make the marriage but is an opportunity for family and friends to gather and hear the promises and share in the joy of the relationship. Couples wishing to be married at St. Mark’s must be 18 years of age, participate in a marriage preparation program and have in place the appropriate documents. Although, Jesus spoke more frequently about marriage than any other one item, we realize that some marriages reach the point of irretrievable breakdown. The church needs to support those with the comforting message of forgiveness. After careful consideration, re-marriage may be permitted for divorced persons. We recognize that the scripture suggests some difficulty but through a reconciliation process, we believe that God wants us to be forgiven and move on to a time of mutual love and support. 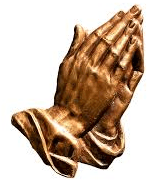 I know someone in need of prayer. Will you pray for them? complete the prayer card located in the pews; these names can be added to our weekly or daily prayers. You are given the opportunity to sign your name so that we can follow-up. Note: You must have the permission of the individual before placing his/her name on our prayer list. Are there opportunities for confession at St. Mark's? The church offers both corporate and private opportunities for reconciliation. At almost every service of worship there is a time of confession, when we are invited to seek God’s forgiveness for our failure to be who we should be. Confession is about holiness and wholeness. Holiness and wholeness are connected because failure to rid oneself of our clouded past does not allow us to develop as a whole person before God. Even though it seems natural to seek forgiveness to God directly and is certainly possible, in the presence of another human being the reality of it all strikes home. Private Reconciliation with the Priest is an opportunity for advice and support as we make the changes we need in our lives. The objective of sacramental confession is to give strength. Often with the burden relieved through absolution in God’s name we become healthier. Please speak to the priest if you wish private confession. Do you offer strength, peace and encouragement for those who are sick? During his life on earth, Jesus loved people into health. It continues to be God’s desire that we live in total health. Health is the absence of dis-ease. Sometimes true health is not a well body but internal peace. 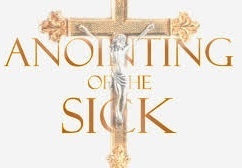 The “Anointing of the Sick” is the ultimate healing sacrament, available whenever our health is impaired. God is always with us in our illness loving us into health of mind, body and soul. Jesus proclaimed this with his witness. Through this sacrament the sick person is strengthened and encouraged to face their life at peace. At St. Mark’s this sacrament is usually administered when family and friends gather to pray for the sick person, to lay hands on them for strength and peace. The oil of the sacrament is administered to remind us of the prayers of the whole church for wholeness of the individual. How can I have the St. Mark's priest officiate at a funeral? A Christian attitude about death and funeral practices has to be conscious of the universal dimension of celebrating life. Out of sensitivity to saying farewell to loved ones appropriately, mourners bring various needs to these celebrations. We attempt to encourage families and friends to honour the departed in meaningful ways. Our Christian perspective on death is inseparable from the Biblical accounts of death and resurrection of Jesus and his followers’ experience of the saving power of his renewed presence. We do need to hear both the sense of the expression of glory as a triumph over death, but also Jesus’ sense of abandonment on the cross. Faith expressed at Funerals is in need of reflecting both the light and shadows of death, hoping that through the celebration of life, a sense of Christ’s victory and eternal life may be felt. Although a fitting place for the celebration of life is in the church in the context of the Lord’s Supper, it may not be the place for all such events. We need to hold a balance between the piety of the church and the life lived. This celebration is primarily a rite of family and friends, not that of the clergy or the funeral directors. When the person who has died is a Christian then a celebration in the context of their regular worship site is appropriate. The family and friends who come to bury their dead should be encouraged to take an active role in the liturgy, as a pretense to moving on in the grief process. 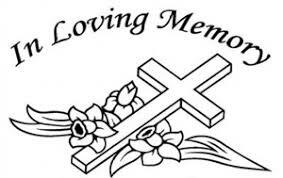 Our services usually include eulogy or eulogies, scripture, song and prayer. When in the church building the service usually is with the Eucharist along with a second event of committal at the grave side or crematorium. Funerals always occur quickly and often unexpected; we encourage consultation with the parish priest as soon as possible after death has occurred. The Eucharist (meaning Thanksgiving) is the central service of the church. Eucharist is the commemoration of Jesus’ last supper with his disciples. It is the time in which the church believes Christ again becomes present to its current assembly. We gather together from our various places in life, assembling as the community of faith in song and word. We begin by hearing again the saving acts of God in history, and then reflect on their meaning for today. We then offer prayers for those in need, and the whole world, and make known the purposes for which we gather. We then take the simple things of Jesus’ time; bread and wine, and distribute them as Jesus did at the Last Supper, believing that in so doing God is in our midst. In great joy we then move on with our lives to do the most important mission work of the church, at home, at work and in the world. At St. Mark’s, Eucharist is the principal worship service most times we gather. It is our practice to celebrate the communion every Sunday at 9:00 a.m., every Wednesday at 10:00 a.m. and most Sundays at 10:30 a.m.
All baptized Christians are welcome to receive communion at St. Mark’s. Please join us at the table of the Lord. If you are unwell, please receive the bread but do NOT dip or share the cup. Receiving the bread only is still considered Holy Communion. When you abstain from receiving the chalice, you may wish to stay at the rail with crossed arms so that the communion assistants understand your wishes and offer the blessing of the cup. Please use the hand sanitizer gel at the front of the pews. In the event of illness, private communion is your home is an option. How can I get involved with the Youth Group? Our youth group meets every Sunday from 2 o’clock to 4 o’clock. You are welcome to join us. Please check the St. Mark’s Youth page and the St. Mark’s Calendar of Events to see what activities are planned. Contact us if you would like more information. Our Youth Group Coordinator will contact you. I would like to become a server on Sunday mornings. Our Servers’ Guild consists of young people that are dedicated to assisting with Sunday morning worship. They take turns leading the procession and participating in the preparation of communion. There are three possible roles a server can fill at the 10:30 a.m. service: Crucifer (carry the cross at the beginning and end of the service, i.e. during the processional and recessional hymns, and also when the gospel reading takes place in the centre aisle. 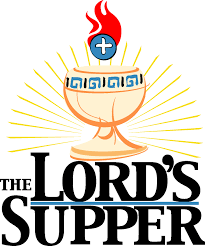 Receive the large offering-tray from the Sidesperson when the collection is brought to the front of the church); Altar Server (assist the priest as he prepares for communion by handing to them what they need (i.e. wine, water, wafers), and carry the Gospel book when the reading takes place in the centre aisle); Candle Bearers (carry the candles during the processional and recessional hymns, and when the gospel reading takes place in the centre aisle). Contact us if you would like to become a server. Our server coordinator will contact you. Do you offer communion instruction for children? Communion Instruction (often referred to inaccurately as First Communion) teaches children the importance of communion in the church. Sessions are held yearly and geared to children in their early reading years; please speak to the priest for more information. The sessions usually occur on three Saturdays in Lent concluding with a celebration event on Maundy Thursday. 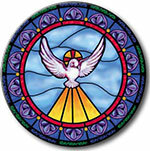 Preparation or Instruction for adults and older children is done on an as needed basis and arranged through the Priest.